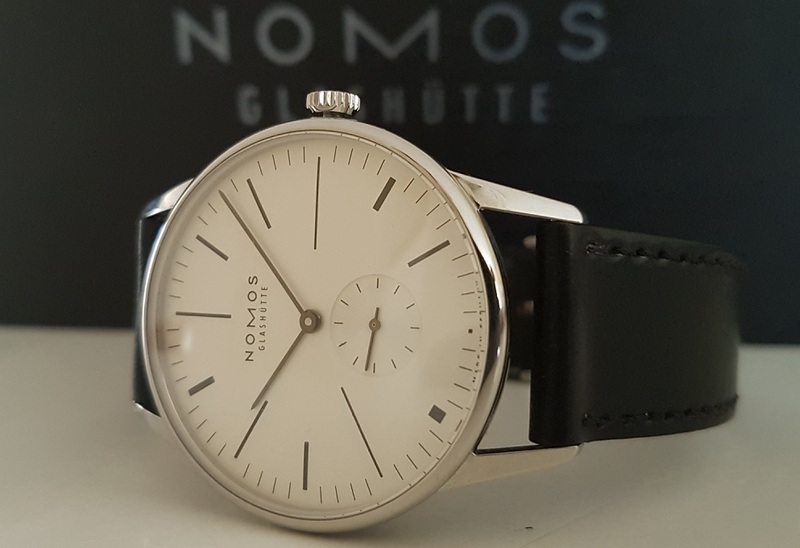 This week Lex Stolk of Horloge.Info posted a review of the Ace x NOMOS De Stijl Limited Edition. Sorry – this one is for the Dutchies only! De monochromatische weg die Ace en Nomos zijn ingeslagen blijft veel langer boeiend. Wie toch primaire kleuren wilt zien kan twee dingen doen: het horloge omdraaien en ontdekken dat het Alpha uurwerk is voorzien van geblauwde schroeven, rode synthetische robijnen en een geel/goudkleurig balanswiel óf de zwarte Shell Cordovan band verruilen voor een gekleurd exemplaar. Strap safely delivered well and the strap is really satisfying !! I don’t have a NOMOS watch of 19mm lug, but it fits my Omega Aqua Terra 38.5mm perfectly and I am so happy now. And thank you for your handwriting on the postcard. Next time I will use minimatikal again for buying straps. I hope this year will be full of good things. When I learned that Kim was using our original NOMOS straps on his Omega, I absolutely HAD to see a few pics. Luckily Kim was gracious enough to send both his pics as well as his permission to use them on minimatikal. Doesn’t that look just perfect? The fact that NOMOS offers straps in odd widths like 17 and 19mm makes them perfect for watches with lugs that wide, and the fact that they’re offered in a range of sizes makes them perfect for either smaller or larger wrists too. Thank you Kim for your trust in Minimatikal, your kind words, and your beautiful pictures! Enjoy in the very best of health!